She’s so cute. She has a nice smile. 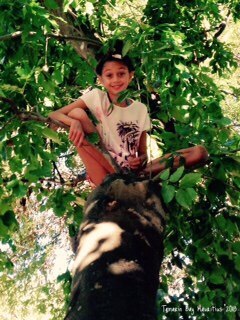 I also liked to climb trees. Getting up though seemed to be easier than getting down. Oh, I only wish that it could be possible. I hope it happens soon. I am not getting any younger. I had potential when I was younger, and foolishly wasted it away. I also suffer from anxiety and depression. I try very hard to keep that under control.. I am really moved by your sentiments though. I am better now than I used to be., so I am making progress.